Hip dysplasia is a genetic condition resulting in improperly formed hip joints. In an unaffected dog the hip joint fits into the socket allowing for smooth movement and function. In a displaced hip the hip joint is improperly formed, resulting in a loose joint. This joint allows the leg bones to move too much, which can cause painful wear and tear. Hip dysplasia can occur in any size dog or any breed, but is more prevalent in larger dogs and breeds. Since hip dysplasia is a genetic condition, symptoms may occur at any age, some as early as five months old. Dogs most affected are in their middle to later years, with geriatric dogs the most affected. Older dogs have less muscle mass, which makes it more difficult for them to hold the joint in place. As the joint ages it deteriorates, resulting in more pain for older dogs. 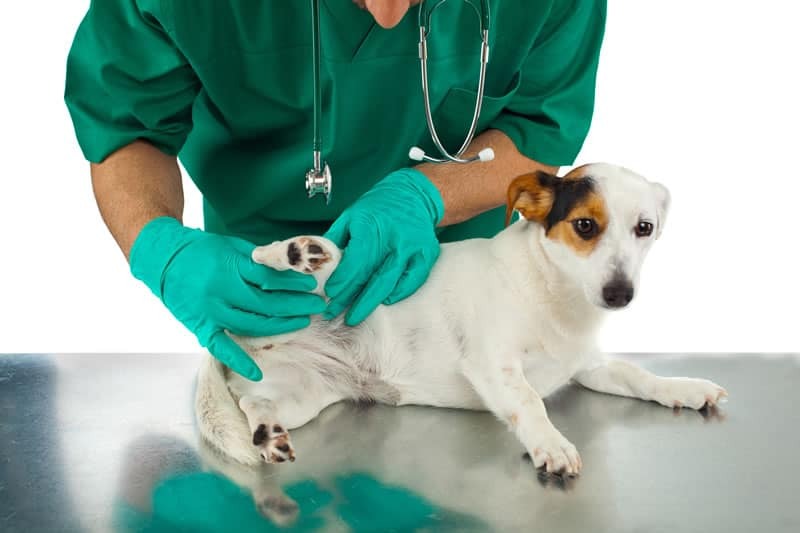 Being aware of the first signs of hip dysplasia in dogs is the only way to catch the condition early and start treatment before the dog’s everyday life is affected. With early treatment and proper care dogs with hip dysplasia can live long and fulfilling lives despite having this inherited condition. All these positions and movements are difficult for dogs with hip dysplasia because the joint is malformed, which makes it less stable and reliable as the joint degrades over a lifetime of wear and tear. This symptom may seem normal given the dog’s age but if owners see the dog struggling more and more it’s important to call attention to it and discuss it with the veterinarian. Another set of symptoms dogs with hip dysplasia display are an altered stance and stride. As the joint degrades the dog will change how they behave while standing or walking to compensate for the painful joint. These symptoms may not be as prevalent in younger dogs or those with a mild case, making these symptoms important to mention once they’re visible. A typical stance for a dog is standing on all four legs with even pressure and spacing between them. This creates a solid and secure base to both stand in and move into walking or running from. A dog with an altered stance may stand with their back legs closer together. This compensates for the wear and tear in the hips and can help add stability in the back legs. Seeing a stance like this means the dog is not as stable on their legs in a standing position and may be using their front legs more heavily to balance their weight. In addition to an altered stance these dogs may also shift their weight when standing for a period of time. This shifting may look like the dog is moving their legs back and forth to shift the weight and again is due to compensation for the weaker hip joints. 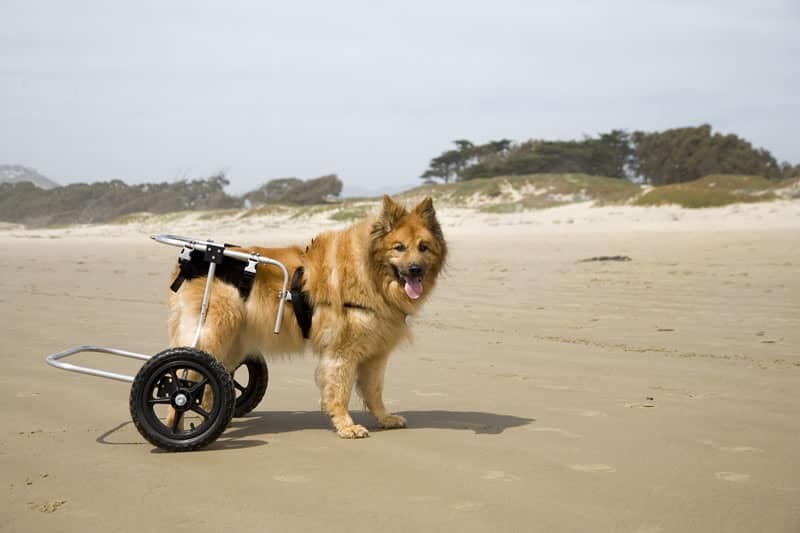 Dogs with more severe hip dysplasia may not be able to stand for long periods of time and may try to sit, only to have difficulty standing when it’s time to move again. A typical stride for a dog looks and feels natural while walking on a leash. The dog doesn’t limp or appear to be struggling. An altered stride in a dog with hip dysplasia is usually shorter than their stride before they experienced hip pain. It may take longer for them to walk their usual route, and their shorter stride may be slower than usual. Dogs may also alter their stride by favoring a bunny hop instead of a usual walking stride. This may look like the two back legs are closer together and work as one unit, instead of the typical walking stride. Dogs with hip dysplasia do this to help reduce the pressure on each joint individually and support both legs while walking or running. 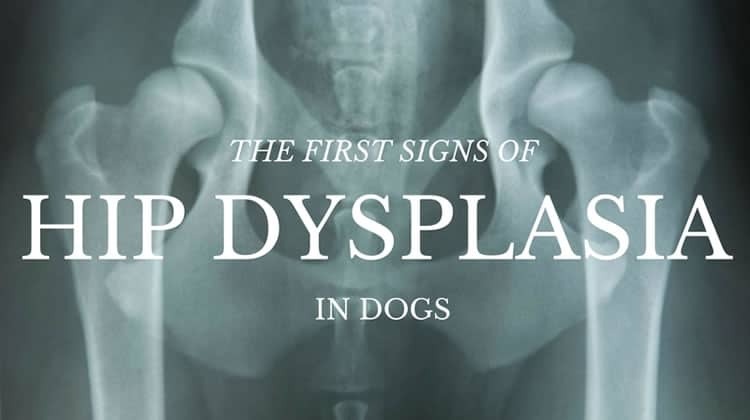 The most prevalent symptoms or first signs of hip dysplasia in dogs are difficulty getting up, altered stance, and altered stride, but there are other symptoms that may concern owners. These symptoms usually indicate a more severe case and it is important to alert the veterinarian if seen in your dog. Difficulty squatting to urinate or defecate. This may be as severe as falling over or unable to balance while eliminating. Thigh muscle wasting. This may be more prevalent in older dogs, but can be seen in younger as well depending on their condition. If any of these symptoms are currently seen in your dog, make an appointment with the vet today. Many symptoms can be eased with proper treatment and supplementation, which can increase your dog’s quality of life. Hip dysplasia can be treated and managed but early detection is key. Some of these symptoms may appear to be that of getting older and entering old age, but dogs of all ages should be properly cared for and their symptoms managed at all times to reduce pain and increase energy and maintain a healthy quality of life.